Since joining FOCUS in 2009, Leah has co-led worship as a violinist and vocalist at national conferences sponsored by FOCUS, co-produced the FOCUS Collective’s first album, “Origin,” and played at numerous gatherings, including 2016 WYD in Krakow, Poland. Leah is also an accomplished classical violinist and studio musician, having tracked violin on numerous albums and performed at world-renowned venues, including the Kennedy Center in Washington, D.C. Leah holds an undergraduate degree in violin performance from The Catholic University of America and a graduate certificate in Suzuki Violin Pedagogy from the University of Denver. Leah currently works at the FOCUS Denver Support Center with Shaun Garrison spearheading "a beauty initiative within FOCUS," exploring how all true beauty can evangelize the culture and inspire people to know Jesus Christ. For more information about "a beauty initiative within FOCUS," visit focus.org/beauty. Additional information about Leah is available at www.leahsedlacek.com. Tools, flowers, a techniques -- Here, we will be covering some basics of floral design in hopes of learning a new skill that can bring beauty into your everyday life. The natural beauty of a flower has the reputation of soothing the soul, brightening a day, or wooing a heart. Let God "woo" your heart a bit as you ponder the beauty of His wildflowers....and how He finds YOU even more lovely! Women will learn about the tools, flowers, and techniques and be guided through the process of designing and arranging their very own floral arrangement to take home. All materials are provided. Though a Colorado Native, Cari Devlin spent most of her life in Las Vegas, NV where she was raised in the Catholic faith and a creative, loving home. After studying dance at the University of Northern Colorado, she pursued service as a full-time missionary post-grad. This led her to Fargo, ND and Norman, OK before bringing her back home to Colorado. Fresh out of missionary-life with the Fellowship of Catholic University Students (FOCUS), Cari stumbled into the floral industry with no experience or knowledge of flowers -- just a friend's referral. Now, working as a florist everyday, her eyes have been opened to a new world of creating, and the beauty of the floral industry! Cari is a true creative at heart- she loves working with her hands, feels things deeply, and her room is typically in disarray. She dabbles in many hobbies and mediums, including: dancing, photography (Cari Renee Photography), and thrift store shopping. Some things that bring Cari joy: her family, sunny hammock days, and mariachi bands. Beautiful lettering is a wonderful way to draw closer to God and to meditate on His goodness and truth. In this workshop, we'll cover the basics of brush lettering -- what tools you need, how to form different styles of lettering, and we'll talk about some ways we can use lettering in our prayer life -- and of course to create beautiful art! Tara Wright is the owner and artist of Frameworthy Designs. She specializes in illustration, lettering, and calligraphy. Her design aesthetic is whimsical, sweet and feminine, and she especially enjoys delicate watercolor painting, pen & ink, and graphite drawing. When she's not busy working on Frameworthy Designs, you can find Tara sipping a coffee, exploring NYC, sharing meals, plotting adventures, or singing a song. During this workshop you will design and make your own beautiful stained glass candle holder. We will also talk a little bit about stained glass in the church and how we are God's living light in our everyday lives and in our art. Expect to stay busy during this workshop -- you will be designing, cutting glass, and soldering! If you are pregnant please do not sign up for this class. All materials provided. Hayley Ryckman lives in the small town of Pinedale, Wyoming. With a has a population of 2000, this tiny town is 75 miles from the nearest stop light! Hayley began creating stained glass art in high school and hasn't stopped since. God has provided her with an amazing creative outlet and stress relief, a way to share God's beauty and messages through her projects, and a way to bring people together by teaching them the art of glass. Aside from her stained glass business, Stained Glass Sundays, Hayley is the Director of Engineering and Zoning for the Town of Pinedale and is excited to marry her fiancé Tim this summer. In the Rosary Making Workshop we will cover a brief history/overview of the Rosary and step-by-step instruction/demonstration for how to make three types of links necessary to construct an entire wire/chain beaded rosary. All links will be hand-crafted using a spool of wire and pliers. There will be time provided during the workshop for participants to practice creating the three types of links and time to begin making your first rosary. All materials will be provided for participants to take home. 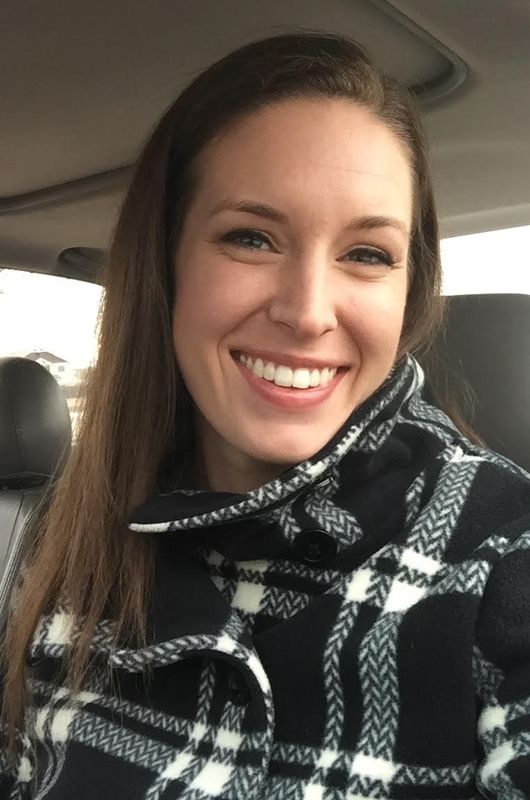 Jenna Simonton was raised in Littleton, CO, and graduated from the University of Northern Colorado with a Bachelor's Degree in Mathematics with emphasis in Secondary Teaching. She currently lives and works in Colorado Springs at a natural gas pipeline company after being blessed with the opportunity to "live her dream" as a Catholic volunteer Salesian Lay Missioner in Ethiopia for 10 months. Upon returning, Jenna felt God was calling her to simply live within American society as devoutly as she could. In high school, Jenna joined the Rosary Makers club at St. Francis Cabrini in Littleton. They gave her a great gift -- teaching her how to make rosaries, and she's enjoyed making them ever since. Over the course of the last 12 years, Jenna has learned so much about the craft of rosary making. She was honored to rebuild and repair the Missionaries' of Charity rosaries while in Ethiopia. She enjoys searching for rosary supplies, and has gone as far as Rome to find them. SoulCore is a prayer experience that pairs core strengthening, stretching and functional movement with the prayers of the rosary; a sensory experience combining candle light, music, scripture, reflections and movement to nourish mind, body & soul, and encourage deeper meditation on the mysteries and virtues of the rosary. Mary and her husband, Dan, have been married for 16 years and are blessed with four busy kids. Hiking, skiing, camping, outdoor fun, and the kids' sporting activities keep them moving. They are active members of St. Patrick Catholic Church in Colorado Springs. Pairing the deep love of her faith and passion as an exercise therapist makes SoulCore a rich addition to her life. She is so excited to share SoulCore with others and help bring them closer to Jesus through Mary. Have you ever encountered God through the beauty of sacred art? In this workshop, you will be led step by step through Visio Divina, a practice of the Church by which one is open and receptive to how God speaks through art. During this time of prayer, you will be given reflection questions and journal time to contemplate how God is speaking to your heart. Afterwards, we will gather to discuss the artwork and reflections. It is our hope that such an experience will give you the skills to pray with art on your own, and to have a profound encounter with God through art. Born and raised in New Jersey, Katie has been a lover of beauty her whole life. Her childhood pastimes are full of drawing, painting, stained glass, and making delicious art through cake decorating. In her vocation as a Theology teacher, Katie began to share her passion with the arts with her students, and saw the profound impact of beauty to lead others to God. Katie is the founder of Behold, and organization which provides resources and strives to lead all women to a profound, faith-filled encounter with God, Mary, and themselves through praying with sacred art. Learn more at www.beholdvisiodivina.com.